182 pages | 13 B/W Illus. Introduction: Corporate sustainability: Requirements, realities and prospects. 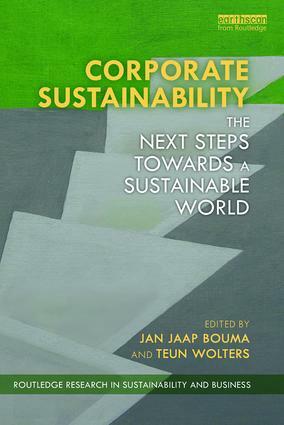 Jan Jaap Bouma is a consultant in strategic sustainability, addressing the challenges that corporations, governments and non-governmental organizations face in this area. Until recently, he was Professor of Valuation and Governance of Natural Resources at Erasmus University, Rotterdam, The Netherlands. Teun Wolters is Professor of Corporate Sustainability at Wittenborg University of Applied Sciences, Apeldoorn, The Netherlands.